Looking to start or grow your food business? You’re in the right place. There are a lot of moving parts to growing your food business (production, packaging, marketing, operations, financials, business development, online sales, etc). It’s my aim to provide you with the tools and resources to sort through all of it. Bottom line: I want to help you launch and grow your food business. You’ll find transparent numbers, posts about failure, posts about success, and an open, honest account of what it’s like to grow a food business from the ground up. Before you scroll down, I invite you to subscribe to my blog to receive the new posts (1-2x a month) and you’ll even get a free guide – “25 Mistakes I Made Running My Food Business.” Just put your email in the box below and hit the button. You’ll be emailed the guide. There’s a lot valuable information on this blog. That’s why I wanted to categorize it for you on the start page. You’ll find all of my posts categorized as well as the good stuff you get immediate value from. What are the best resources on your blog? Why I turned down $288,000 in sales. Guides I’ve written to help grow your food business. This guide is one of the best sources of information on co-packing your product. You’ll learn if you even need a co-packer, how to find one, the right questions to ask, how to work with your co-packer, and what to do if something goes wrong in the kitchen. Buy the Guide. This includes all of the necessary information you need to launch and grow your food business. 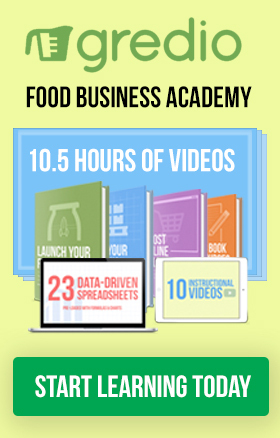 From first product to getting on store shelves and beyond, the Ultimate Food Business Bundle includes over 800 pages of guides, a bundle of resources, spreadsheets, and how-to videos. It’s worth $149, but I’m selling it for just $49. All day every day. The community you all have built on the Gredio blog is amazing. The emails of thanks, the random phone calls asking for help. It’s amazing how so many of you are launching your food companies, growing like wildfire, and emailing me your tips and tricks. So cool! Keep on going, push harder, and sell more product. I’ll be right along with you doing the same thing – and writing about it. Hi Jorge — thanks for your story! You certainly know what you’re doing — and the only way to keep learning is by doing. I’ve made a lot of mistakes myself – and have gotten burnt out multiple times. It’s hard when you are doing this by yourself or have a small team. And don’t get discouraged by buyers not liking to deal direct with vendors. It’s a great relationship builder. Plus, a lot of LARGE companies only deal direct – no distribution at all. Best luck my man! Hey Rob! So freakin’ awesome you’re from Richmond! I just checked out your chocolate business – OH MY! Everything looks so great. Happy you’ve gotten useful information from my blog. Stay tuned for a book in the works! Good luck this year! Great blog, man. We have specialty retailers knocking on our door and we’ve got some serious reading to do while we hold them off. I was wondering whether you have a post related to licensing and registration required before a company can sell its CPG? We’re trying to figure out what we don’t know and how much the above is going to cost us! I bought your book The Co-Packing Guide and in it, there was a link to this website stating that it would take me to a co-packing calculator, but I can’t find it here. I want to say how happy I am to have found you. The co-packing guide is wonderful and now that I have linked to your website, I see so much more information that will be helpful to me. I have been working with a co-packer for the last three years. Wish I had read your book first. Being new to the food industry, I decided to let my co-packer source ingredients. Now that I have been at this a while, and after meeting other food industry people, I have decided that I should be sourcing my own ingredients. Thanks for building this website. I know I’m going to find some great resources here. 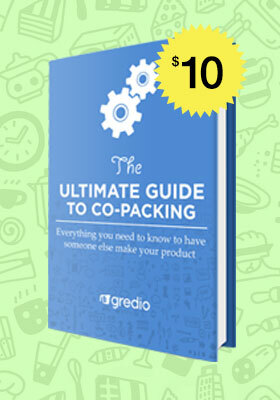 Thanks for stopping by my blog and purchasing the Ultimate Guide to Co-Packing. Unfortunately, the co-packing calculator isn’t functioning anymore, but I may make a version in an excel spreadsheet eventually. About sourcing — your co-packer may take his/her own margin on the ingredients in exchange for their time sourcing and figuring out the unit cost. It is a very common practice in the industry. Best of luck sourcing your own ingredients – it, for the most part, is cheaper that way — just means you have to coordinate shipping, lead times, and inventory amounts. 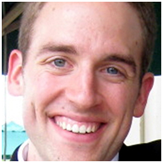 Hi Michael, I stumbled onto your site and am interested in more information about your books and spreadsheets. Can you tell me what the spreadsheets do? I’m also not sure how current everything is as some of the content seems older. Thanks in advance. Hey Matt — sorry for the late reply! I’ve been slammed these days. Everything is pretty current and relies on your input of numbers. You can find a list of the spreadsheets here. I stumbled across your interesting blog when I was searching for more information about food distributors. We are a team of family apiarists who handcraft gourmet honey products. Our business is based in Queensland, Australia. I’m looking forward to reading through all your great resources! I love the work you’ve posted here and I’m interested in getting one of your bundles. The main thing I think our company would use are the spreadsheets. I noticed there was a bundle with 23 spreadsheets and another with 28. What is the difference between the two? A ton of useful info that a newbie food entrepreneur will find priceless. Thanks for writing this and making it openly available. A lot of questions you’ve answered is exactly what I am facing myself!! Thanks, AJ! Glad you’ve gotten a lot of valuable info out of the post. Your resources are awesome. Do you happen to have any guidance or anywhere you could point to for a lot of the initial steps – detailed steps and processes for taking a product from the kitchen to a package? I.e. testing the shelf life, figuring out how to package it, scale, etc.? My course and books walk you through every step. There are also a number of books on Amazon.